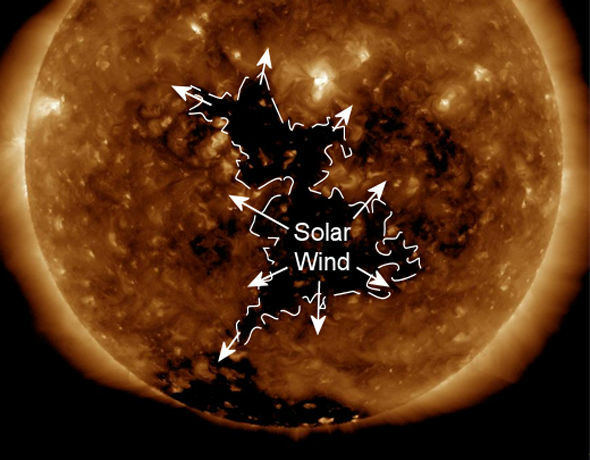 The massive hole, known as a coronal hole, is now unleashing solar winds in Earth’s direction and the experts expect the particles to hit our planet between April 19 and 20. The storm is classed is G1 or minor but this could still cause widespread technology issues across the globe. Skywatchers have also been told to look out for a mysterious new aurora known as ‘STEVE’. 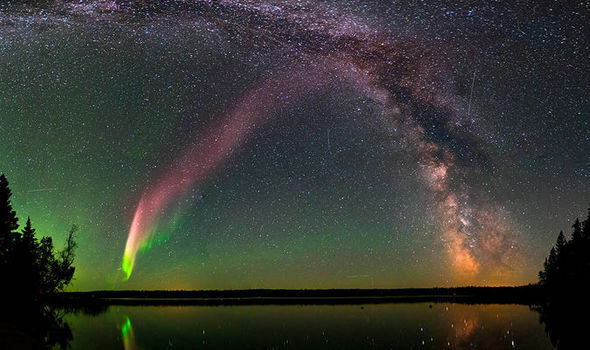 The Strong Thermal Emission Velocity Enhancement, or Steve for short, is a narrow, east-west running ribbon of purple light which may also have some hues of green. However, the consequences could be far more serious than the appearance of auroras, also known as the the Northern or Southern Lights. 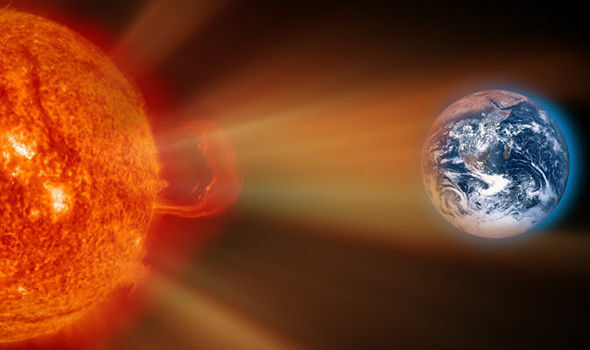 Solar winds, which are a stream of particles from the sun, can heat the Earth’s outer atmosphere, causing it to expand. This can affect satellites in orbit, potentially leading to a lack of GPS navigation, mobile phone signal and satellite TV such as Sky.